To provide the human body earthing at anywhere in anytime, no need the grounding cord can reduce the static electricity of human body From 10Kv to 10V instantly, quick eliminate the body electrostatic charge. It can be used as a cushion, back cushion, foot pad or As a “Grounding port (receiver) -instead of third hole) to connect with other grounding products. It can ensure to eliminate effect of human body voltage, and monitor the trusty of Circuit connectivity. 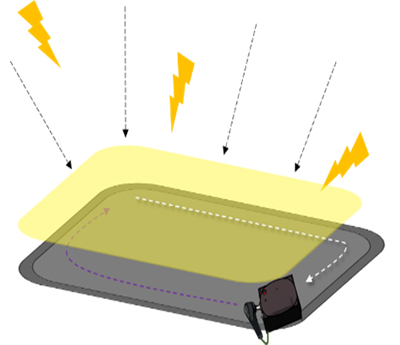 The conductive ventilate rubber surface can receive the external electricity static generated from the human body or the environment. It conducts the electricity static into the metal fastener through the skin effect, then conduct the charge into the special antimagnetic metal conductive fabric to quickly collect all enter charge. 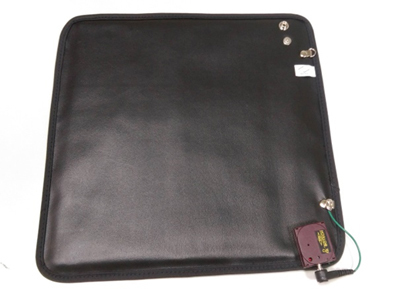 Next, discharge the charge into the antistatic foam leather based on the potential difference principle then utilize the ion-exchangers inside of the foam surface for ion neutralization action to eliminate the excess static. 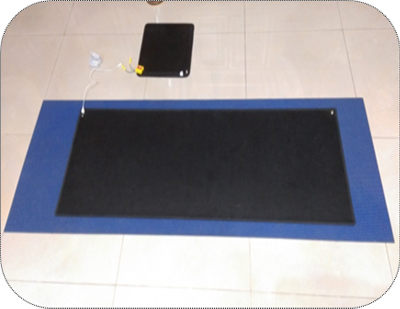 This mat also can put on the ground connect with earth directly, it can eliminate the body static no need through ion neutralization. 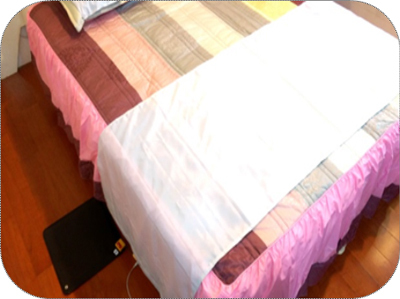 The monitor device paired with the mat connect with circuit can accelerate eliminate the residual electric charge, monitor the circuit connectivity, and assure normal static elimination. 1. 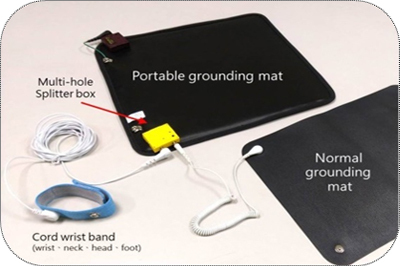 The mat can be serve as grounding port (receiver) collocate with multi-tap split box to connect with the cord earthing band, mat ,sheet or other earthing products or some people use it at same time.